"Whether they score lots or not, City are bound to have a gigantic amount of possession and with that, they’ll surely get lots of corners." Four games, three wins. The Man City machine looks pretty well-oiled and 10 goals from those games shows they haven't lost their appetite for tearing teams apart rather than just beating them. 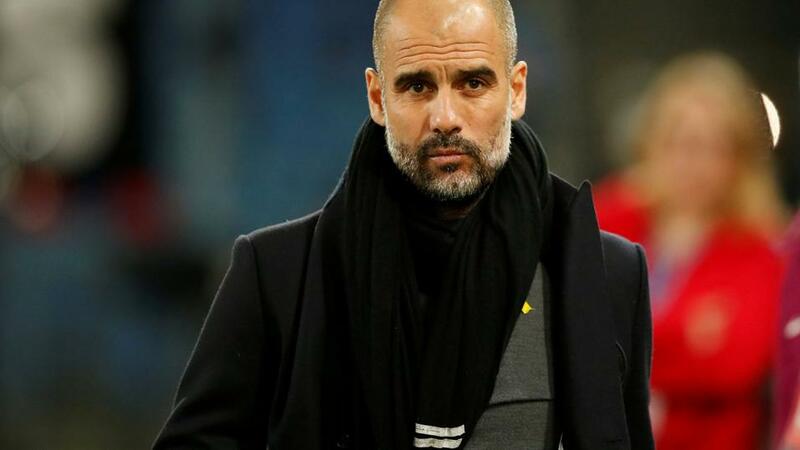 That said, Pep Guardiola will be more concerned about his side's inability to keep a clean sheet in any of their past three games than he will about the fact they dropped two points at Wolves. What he doesn't need to be concerned about though is injuries. Kevin de Bruyne and Claudio Bravo are of course long-term absentees but despite just about every member of his squad being on international duty over the past week, no-one picked up any knocks. Raheem Sterling had a slight injury before the international break but should be fine to play here. Fulham have made a decent start to their campaign. They were caught cold on the opening day and understandably lost at Wembley but a 4-2 win over Burnley and a good draw at Brighton will have given them belief that they can stay in this division. They're currently [6.0] for the drop so they're not the only ones who think that. Aleksandar Mitrovic has been their main man. He's the league's joint top-scorer with four and enjoyed being on international duty this week by scoring twice against Romania. But on-loan Luciano Vietto and the well-travelled Andre Schurrle have also played their part. It's meant opportunities have been scarce on the left wing for Ryan Sessegnon, of whom so much is expected for club and very soon, country. Is 1/8 on City value? Odds of 1/8 is the sort of price you'd get on say Spain to beat Andorra. But can you blame the odds-compilers? This is arguably the strongest team to have ever graced the Premier League, at home to one who was absent from the division for four years. Opta tell us that City have beaten them in each of their last five attempts, haven't lost to them in their last 10 and haven't been defeated by a newly-promoted side since 2007. Given there will be few takers of that price as a single, you can look to the handicap markets where you can get 10/11 on Man City -2 goals. In other words, 10/11 that they'll win by three or more goals. Not the worst bet. Going over 3.5 goals could be a good option. City could rack up a cricket score here and you'd be foolish to rule out Fulham getting one of their own. We've already said City have kept just one clean sheet in four games while Opta tell us there have been 16 goals scored in Fulham games this season; that's the joint-highest alongside Arsenal matches. Backing over 3.5 goals would have paid out in each of the Cottagers' last three PL games. Further evidence of the fact that plenty of folk expect City to go crazy here is the fact that no fewer than five players are odds-on to score: Sergio Aguero, Gabriel Jesus, Riyad Mahrez, Raheem Sterling and Leroy Sane are all deemed more likely to score than not. If you want to go for a goalscorer at a decent price, you could take a chance on Fernandinho at 9/2. He scored five league goals last season and likes a little dash forward in matches such as this one. Mitrovic might be worth a look, too. You'll see worse prices this weekend than the 13/5 on him scoring. Yes, it's away at City but this is a man with six goals in his last four games for club and country. The problem with a game like this is that you're getting short prices on something that's likely to happen (sounds obvious, I know) in the sense that City probably will score a fair few goals. But going against the flow isn't particularly appealing, either. So we may have to resort to a very different sort of bet. Whether they score lots or not, City are bound to have a gigantic amount of possession and with that, they'll surely get lots of corners. Their corner count for the season has been 10, 10, 9 and 4 (against Newcastle). In the race to nine corners market they're 5/4 to get to those nine corners first and that may just be the best bet of the game. Clicking on the third tab from the left at the top allows you to put together two or more selections as a same-game multi bet. Bernardo Silva has been playing well for club and country, has already scored this season and will be in search of another. Backing him to get a goal and for there to be over 3.5 goals in the match comes to 4.0.